Click on the travel company's name to learn more about this provider on their profile. On this 15 night/16 day tour explore roads less travelled and experience all the scenic magic of touring New Zealand. 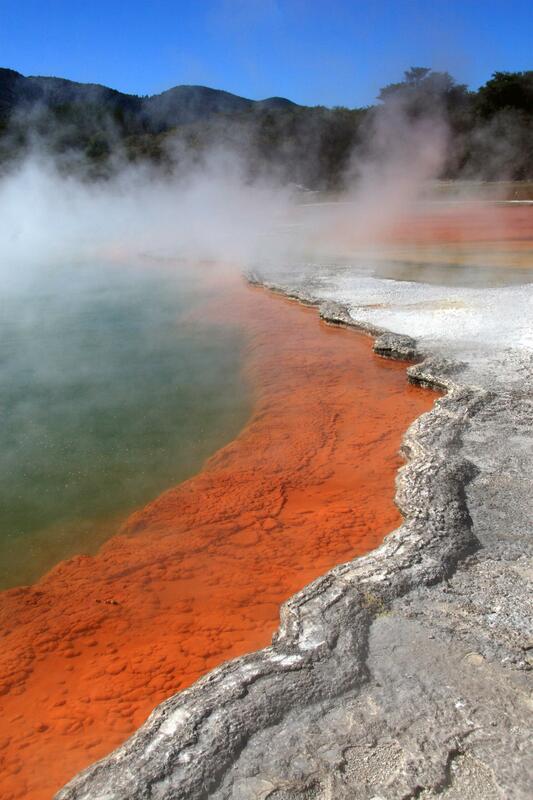 On this small group New Zealand tour you'll meet local Kiwis and enjoy exclusive lunches on unique private properties at Lake Tarawera and in mid-Canterbury. 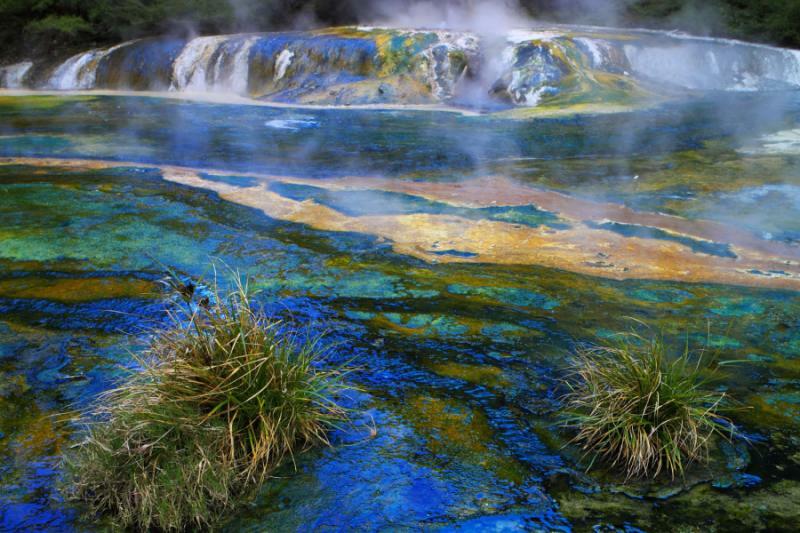 Diversity, color and culture come alive in Rotorua, Napier, Wellington, Queenstown, Franz Josef and on the wild West Coast. 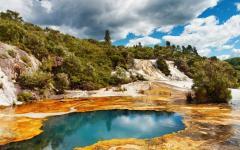 Most tours are customized for private travel. Cruise across Lake Rotoiti on a luxury 16-metre catamaran. 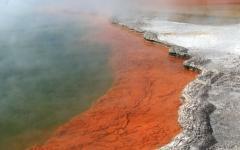 Soak in mineral hot pools at the lake’s edge, only accessible by boat. Flexible and customizable for private departures. Your driver/guide meets you at your city hotel. Further south in the lush dairy farmlands of Waikato, stop for coffee in a woodland garden. Visit Waitomo’s breathtaking glow worm cave and explore this dramatic region studded with limestone outcrops. 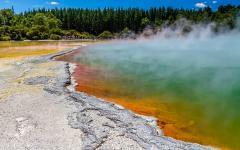 Drive on through rolling farmlands to Rotorua and the Park Heritage, your home for two nights. 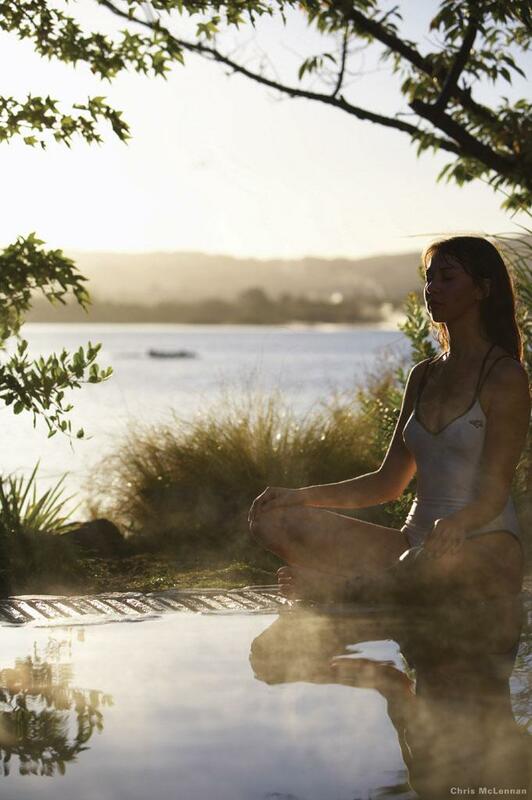 In the evening you will be touched by the warmth of a Maori concert – the traditional welcome to visitors – and a dinner that includes hangi food steamed in an earth oven. 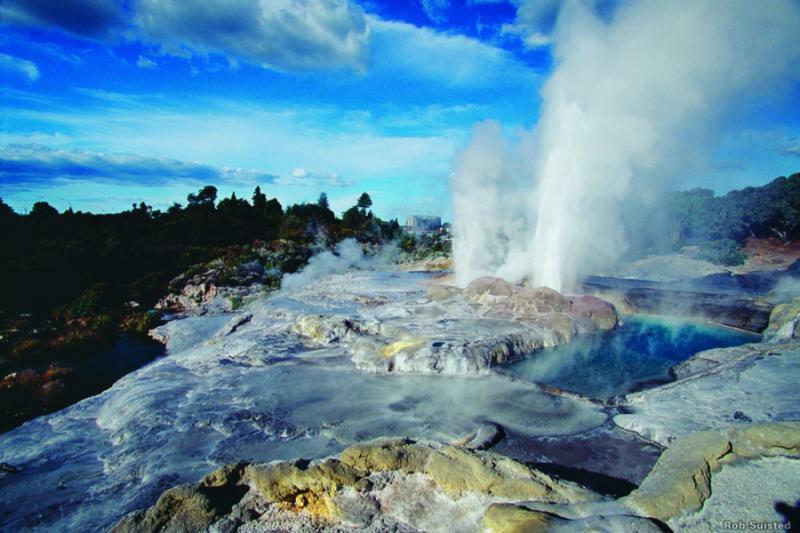 Relax and enjoy leisurely touring in this lakeside town at the heart of Maori culture, geothermal activity and tranquil lakes. 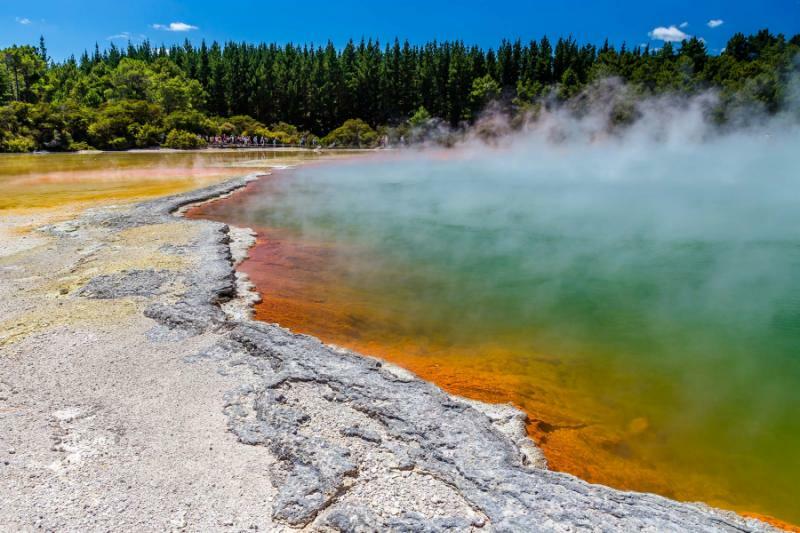 Both Rotorua Museum and the lake edge Maori village at Ohinemutu are on the itinerary, the Buried Village and a host of geothermal attractions exclusive to this region. There is also a range of optional activities to choose from in this adventure tourism mecca. Huka Falls, where the Waikato River thunders through a narrow chasm, is an irresistible photo stop. 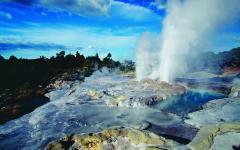 From Taupo there are great views across New Zealand’s largest lake to the mountains of the Central Plateau. Crossing rugged ranges we reach the seaside town of Napier. 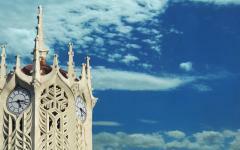 Renowned for its Art Deco architecture, Napier was rebuilt in this style after a disastrous earthquake in 1931. Your guide will introduce you to the region’s premier vineyards and for birdlovers there’s the chance to visit the gannet colony at Cape Kidnappers. Your hotel is right on the waterfront. 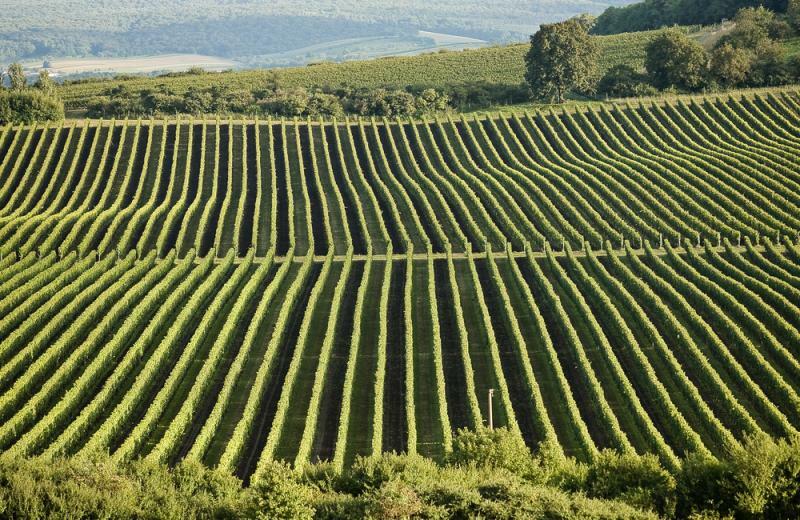 Hawkes Bay is New Zealand’s food basket - orchards, vineyards and market gardens abound. We drive south through Havelock North and Hawkes Bay’s pastoral landscape of orchards, farms and vineyards to Martinborough in the Wairarapa region. We stop at Mt Bruce National Wildlife Centre, a sanctuary for rare and endangered species including kiwis and tuatara. We finish the day in Martinborough, a pretty village in the heart of the Wairarapa vineyard region. We drive over the Rimutaka ranges to Wellington, the capital city. 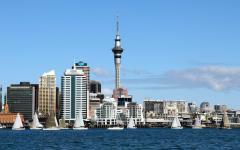 We visit Te Papa, the national museum and tour the city sights. Catch the cablecar to the Botanic Gardens. Tour around the waterfront to Oriental Bay and up Mt Victoria for stunning views of the city and harbour. Your inner city boutique hotel is at the heart of Wellington's eclectic cafe scene. This morning we catch the ferry from Wellington to cruise for three hours across Cook Strait into Tory Channel and up beautiful Queen Charlotte Sound to Picton. We tour this premier wine and food region including tasting at Cloudy Bay, the vineyard that put Marlborough sauvignon blanc on the map. Dine in this evening at Hotel d'Urville's highly regarded Wine Bar and Brasserie. 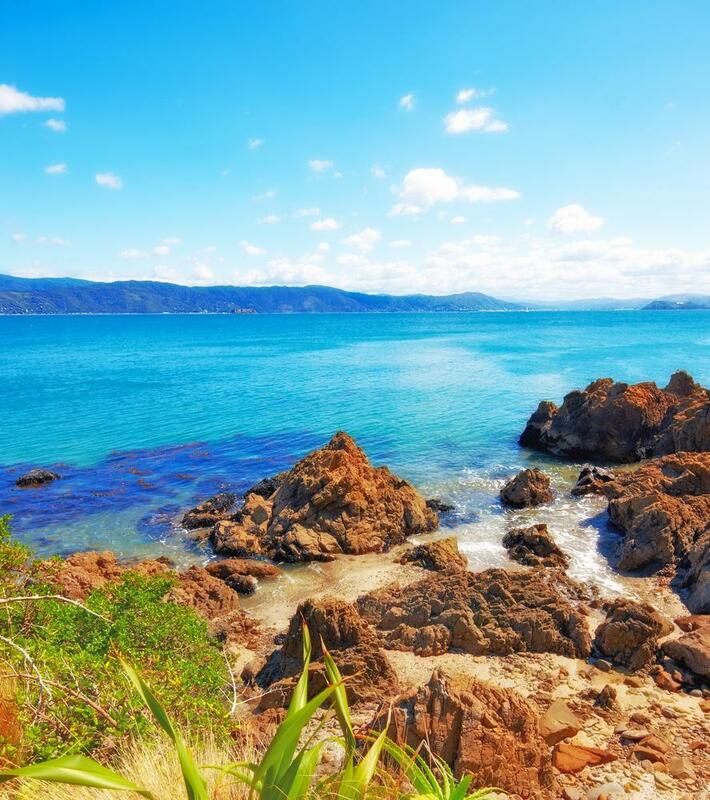 Leave behind the dry, golden hills of Marlborough for the spectacular scenery of the Kaikoura Coast. There's the opportunity to take a whale watching cruise. 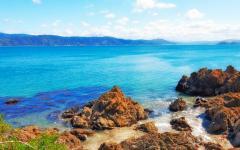 Kaikoura is also the place for close encounters with seals and seabirds as well as whales. We stay right on the waterfront at White Morph. Seafood, especially crayfish, is a specialty in this ocean side town. The highway continues along the coastline before winding inland over the Hunderlee Hills and dropping down to the Canterbury Plains. 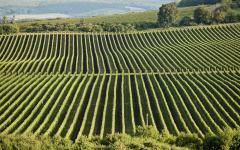 The wine district of Waipara set on terraces above the river is an ideal coffee stop. Continuing south, we skirt Christchurch and take the southern highway to Ashburton and “Akaunui” to join our farming hosts Di & Ian Mackenzie for lunch in their historic 100 year old homestead set in beautiful gardens. It’s never easy to leave the Mackenzie’s warm hospitality but later in the afternoon we drive over to the foothills of the Southern Alps and the small village of Mt Somers. We dine in Stronechrubie's acclaimed restaurant tonight. After Burkes Pass the landscape changes to the turquoise lakes and dramatic sweeping vistas of tussock grasses and mountains of the Mackenzie Basin. At Lake Tekapo the picturesque church and sheepdog statue are favourite photo stops. At the head of Lake Pukaki is Mt Cook at 3754 metres, New Zealand's highest mountain, known in Maori as Aoraki "the cloud piercer". 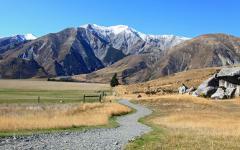 The Lindis Pass leads to the rugged Kawarau Gorge and into Queenstown. Your boutique hotel is just a few minutes walk above the town with views to the lake and Remarkables Range. There’s a wide range of restaurants and cafes in this famous tourist resort – and your driver/guide will let you know his favourites. This morning you are picked up from your hotel to travel by coach to Te Anau and the magnificent Milford Road deep in the heart of Fiordland National Park to Milford Sound. Take short walks to beauty spots such as the Mirror Lakes and the Chasm. 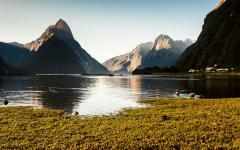 At Milford take a cruise down the sound, dominated by iconic Mitre Peak, out to the Tasman Sea. 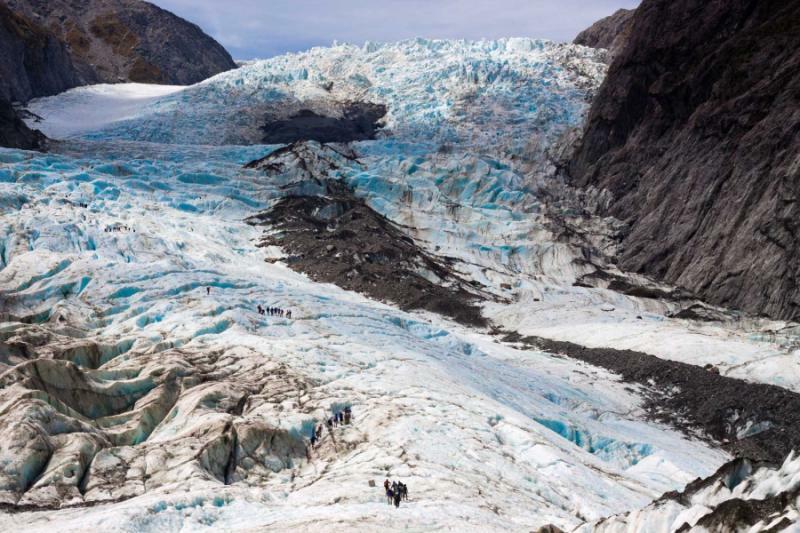 It’s a stunning fiord landscape of waterfalls, rainforest, mountains and wildlife. 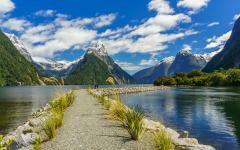 Travel back by coach to Te Anau and along the edge of Lake Wakatipu to Queenstown. The morning is free to further explore Queenstown. Perhaps take an early morning jet boat ride on the spectacular Dart River in The Lord of the Rings country before driving to Arrowtown, a picturesque goldmining village. 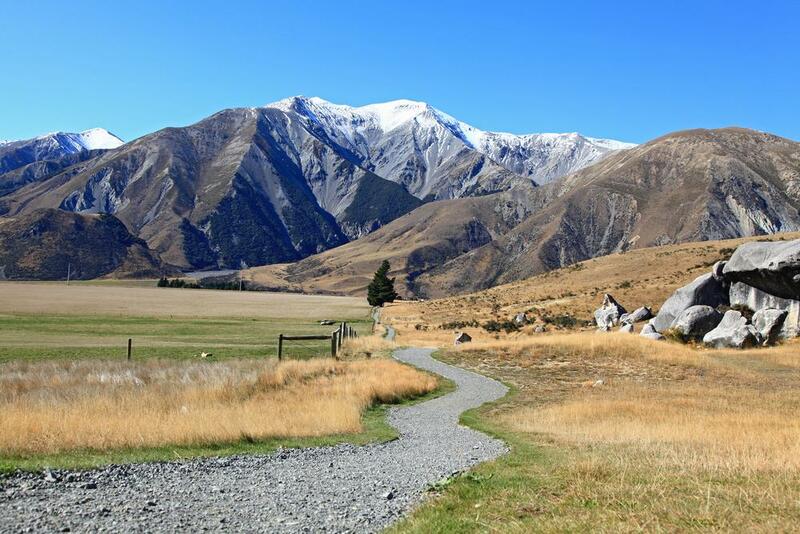 Heading into tussock country, the road climbs up the Crown Range then down into the Cardrona Valley. We stop at quaint Cardrona Hotel, its history stretches back to the goldmining era then continue on to Wanaka amid a panorama of mountain peaks. We dine in Wanaka this evening. Drive beside Lake Hawea and Lake Wanaka before heading into superb mountain and river scenery of the Haast Pass in Mt Aspiring National Park. There are several great short walks on well-maintained tracks through native beech forests to waterfalls and blue pools where trout lurk. Leaving the mountains, the road winds along the edge of the river to Haast where the Department of Conservation Centre documents the regions’s colourful history, flora and fauna. Continue north through the lush, primeval rainforest of Westland World Heritage Park, stopping at Ship Creek for a stroll on the beach to the dune lake and through swampland rainforest. 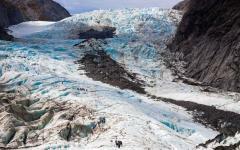 At Franz Josef Glacier short walks take you to vantage points to view the advancing glacier. 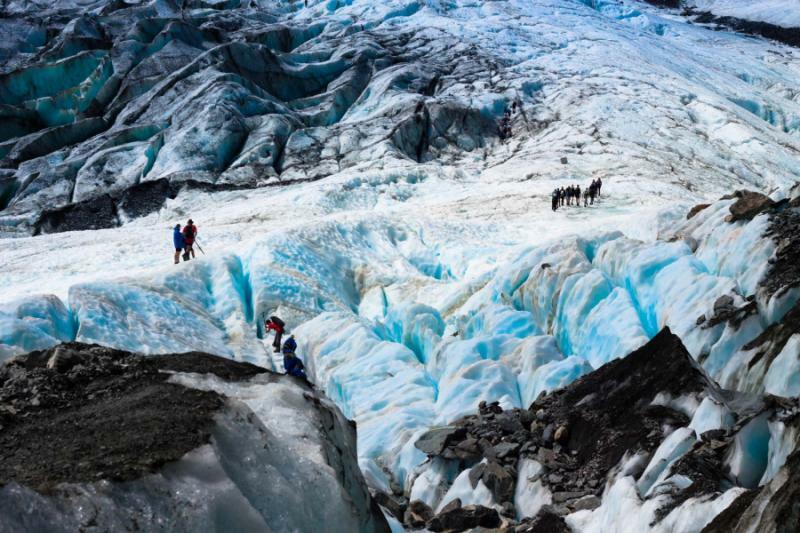 Early this morning you could take a flight over the glaciers and Mt Cook and enjoy the thrill of landing on a glacier. We visit Okarito’s lovely lagoon, home of the rare kotuku, white heron. 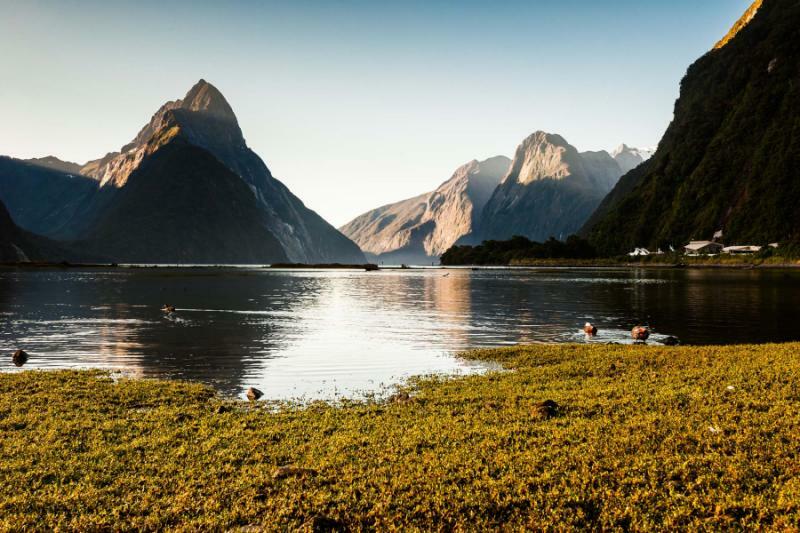 then travel on up the coast passing mirror lakes, boulder-laden rivers and catching glimpses of the Southern Alps. 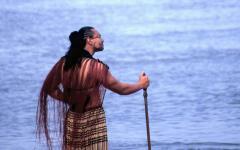 At Hokitika there are a host of craft galleries – Pounamu (greenstone) carving, glass blowing, wood and copper artisans. A beautiful coastal road following part of the ancient Greenstone Trails used by Maori for centuries in search of Pounamu leads to your hotel on the coast at Punakaiki. A little further up the road is the leading local attraction – the Punakaiki Pancake Rocks, sculpted sea stacks and towering cliffs. If the tide is right, blowholes spread clouds of spray. Dine this evening in your hotel’s restaurant. Drive back down the coast to Greymouth where your TranzAlpine rail journey awaits. Sit back and enjoy the magnificent alpine scenery of rugged Otira Gorge and Arthur’s Pass National Park. Crossing the Canterbury Plains to reach Christchurch in the late afternoon. Your driver/guide meets you at the railway station and transfers you to your accommodation in this English style city of stone buildings, large parks and stunning gardens. "Our trip to Australia and New Zealand was fabulous in all respects." "Our travel agent was great. 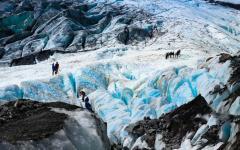 She worked with us down to the final details of our trip." 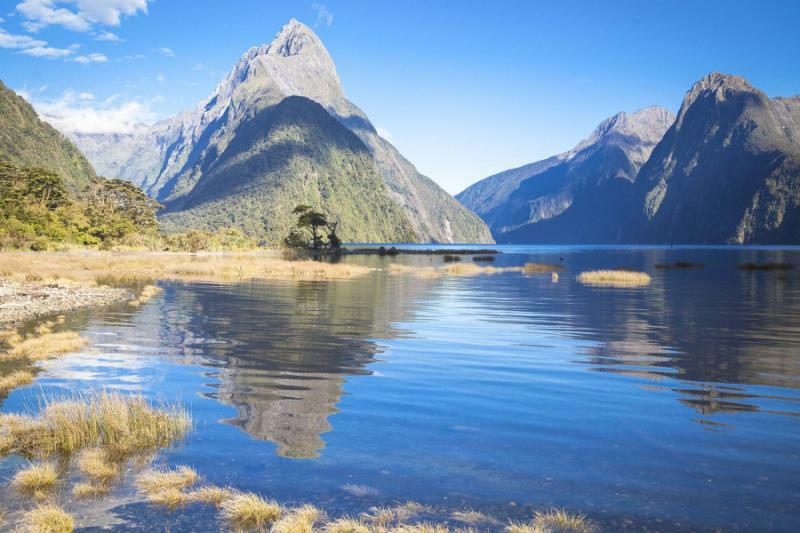 Custom New Zealand and Fiji Honeymoon Vacation, Queenstown, Auckland, etc. "It was a wonderful 3 week honeymoon in New Zealand and Fiji..."
"Acts as free matchmaking service for vacationers in search of travel agents"
"At Zicasso, you can request bids from travel companies for tours in 110 countries . . ."
Get matched with top travel specialists and they will help design your ideal itinerary.